No one likes getting bills in the mail, but property tax bills can be particularly frustrating. Overvalued or unequally appraised real estate leads to excessive charges, but many taxpayers aren’t sure how to appeal property tax. Instead, they have to reconfigure their budget to pay their astronomical bill. If this describes your situation, we can help. Our Houston property tax attorneys have the specialized skills necessary to successfully manage your property tax protest in Houston. Our property tax firm has extensive experience when it comes to advocating for our clients who have been overcharged, and we know how to reduce property taxes so you don’t overpay. Your local government regularly assesses all of the taxable real estate to determine its value. This assessment forms the basis of your property tax bill. However, your assessment isn’t always accurate. 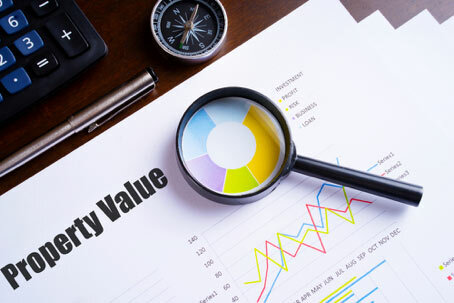 In fact, it is quite common for assessors to overvalue properties or to appraise similar properties unequally. We are your advocates when it comes to protesting your tax assessment, and we have in-depth knowledge of the assessment and property tax protest process. We complete all of the research necessary to demonstrate that your assessment is too high, and we present your case to the appraisal review board. Protests aren’t always successful on the first try. Fortunately, there are additional actions we can take on your behalf. If the property tax protest fails to correct your assessment, we will work with you to file a property tax appeal. These cases may be heard by an independent arbitrator or by the State Office of Administrative Hearings (SOAH) in the state district court in the county in which your property is located. We are your partners every step of the way, and we will guide you through the process from start to finish. There are exemptions and partial exemptions to property taxes, and you could qualify for property tax relief. We understand the eligibility criteria, and we can help you get the property tax reduction you are entitled to. If you need property tax consulting services, contact us today.